The Percy Bell Challenge Trophy : Donated by Mr Teerath Ram for Old Boys vs Present Boys sports Competitions. The Methodist Mission from the time of Bishop William F Oldham in Singapore had recognized the importance of gaining access to the local communities through its own students and the old boy’s network in their pursuit of student enrolment and philanthropy. On this, the Mission’s early target were the distinguished members of the business community, in particular of the Chinese who had freely enrolled their children (mostly boys) in the Methodist mission schools and who were themselves generous donors to fund the schools’ development. The later wave of school expansion could not be so successfully accomplished without the participation of the old boys who had by now their own connections in business. So in the pursuit of this broad ambition, the Methodist Mission had eagerly set up old boys unions through the schools’ missionary principals in fairly quick succession: Rev. GF Pykett in Penang (1906), Rev. JS Nagle in Singapore (1914), in Kuala Lumpur (by 1919). Ipoh ACS was not to have its old boy union until 1923 when The Rev WE Horley made the first reported attempt to form one. But what Rev Horley had in mind was a Union set up with the sole objective of holding re-union dinners so that the old boys of the Ipoh ACS could get together once a year. Dr. KT Khong was appointed the inaugural President with Mr. Wong Wai Lam as the Hon. Secretary. This Union was so loosely formed that it provided neither for membership nor for the establishment of a club house, and both these factors conspired to cause the union’s own undoing. In 1931, The Rev FH Sullivan (Principal, 1931-32) took steps to revive the Union now known as the Old Boys Association (OBA) but this attempt too was thwarted. A provisional committee was indeed set up. Dr. KT Khong was again appointed to lead it but, sadly, it proceeded no further due to the lack of old boys’ support and intra-committee dissension. It was then left to Mr. Percy Bell (Principal, 1934-39) to succeed where his predecessors had failed. Mr. Bell had learnt well the lessons of 1931 and he took personal charge at the outset. He ensured that a provisional committee was set firmly in place before a constitution was drawn up. Then he began the necessary task to obtain old boys support. That simple work process proved effective. 4) Render the Alma Mater such assistance as may be necessary and to maintain and enhance its reputation. Thus in June 1935 the Ipoh ACSOBA was officially returned to life. Dr KT Khong was elected President. A candidate of choice, he was one of the most distinguished old salts of his time. He joined ACS in 1900 and in 1902 was one of two boys who passed the Senior Cambridge Examination. He did sufficiently well to enter Cambridge University where he read medicine on a FMS scholarship. Higher studies done, he returned to Malaya in 1910 moving to Ipoh in 1912 as the first Asian with a western medical degree to practise in Perak. For over 30 years he held the post of Hon Medical Superintendent at the Perak Chinese Maternity Hospital until 1956 and saw to its expansion and relocation. He entered the Federal Legislative Council in 1936 and the Perak State Council several years later. For his services to country and community he was conferred a number of Colonial and Perak State awards. These were to include a MBE and CBE from the Queen and the Perak Sultan conferred on him the title of Dato Kurnia Negara, the first Chinese in Perak to be so honoured. Upon election, Dr Khong and his Committee moved quickly with several work in progress completed in the latter half of 1935. The OBA was duly registered. A congratulatory dinner took place at the school hall to honour Dr. Khong and Mr SA Sahib Juan (Vice-President) on their receipt of Empire/State awards. Significantly, an OBA clubhouse at No. 82 Lahat Road was secured on lease, suitably equipped and furnished. Membership stood at 190. It was altogether a splendid restart. The School’s Expansion Project conceived around the same time provided a compelling reason for the OBA’s hasty revival. A piece of adjacent land, a science lab, a carpentry workshop and 3 class rooms at a total envisaged costs of $40,000. Fund raising was imminent and the OBA was expected to contribute a share of these costs! Over the next year, the OBA was to steadily expand the range of its activities. Membership had admirably increased to over 300. A concert helped raise $173.33 which was warmly welcomed into the Treasury. A social excursion to Sitiawan was organized where old boys played games with the locals. An active sports section was set up. Two more dinners were held before end year to honour old boys who had excelled in public life and in scholastic activities. Dinners were to become excuses to bring old boys together and every opportunity seemed taken advantage of. That year’s most creative activity, however, was this far sighted idea of forming an OBA Student Section, structured with its own committee. Its object was of “preparing students for a fuller understanding of the workings, and the responsibilities of members, of such an Association as the OBA.” Nothing more was reported of this junior section. Dr KT Khong stood down as President in 1937 due to his expanding public commitments. Mr Chin Thin Yee was elected to replace him. Mr. Chin was most resourceful and his 5 year tenure was markedly activity intensive. One of the first events of 1937 was a dinner hosted in honour of another old boy, HH Raja Muda of Perak, who had been conferred a knighthood by the British Crown. (Note: Sultan Sir Abdul Aziz ascended the Perak throne the next year). This was to be the first of three recorded social events hosted jointly by the old boys and old girls associations of the ACS and the ACGS in their histories. The lack of patronage ended No. 82 Lahat Road’s viability as an on-going concern. Plans were made for its relocation. A Hale Street property was the preferred option but that fell through. Instead the clubhouse was re-sited at No 25, Togo Street (later re- named Cockman Street, now Jalan Dato’ Onn Jaafar) where it was successfully resettled. This change was influenced by convenience which meant that more members could congregate at the new premises even during “tiffin” (lunch) hours. The move to Togo Street was, however, to contain a measure of drama. The Straits Times of 17 August, 1937, headlined “SCHOOL PUPILS EJECTED BY OLD BOYS”, reported that old boys from the OBA had sought court approval to force out the present boys of the Min Ming Chinese School from No. 25. The court ruled tenancy rights in favour of the OBA and Min Ming was indeed evicted by September, and the OBA moved in with a photo session and a tea party. The fate of Min Ming’s 200 odd pupils remained unknown. OBA at Togo Street had all the appearance of a full-fledged social club which fitted well within the context of community life in pre-war Ipoh. “There are almost nightly mahjong sessions in which high stakes are vigorously discouraged” the OBA Secretary enthused, “if it rains and members feel hungry, the cook (we have recently engaged a first class professional “For-Thow”) can prepare an excellent meal at any rate per head desired. There are 2 guest-rooms for outstation members………” he added in his annual report. Outside of the clubhouse, Mr Chin’s committee vigorously promoted sporting activities for a number of years. There were many competitions that the OBA teams participated in; in athletics, football and in table tennis the OBA teams performed with distinction. In the Perak Annual Athletic Sports 1938 the OBA won the inter-club half-mile relay. The football team was champion in the Second Division, and the OBA dominated Perak table tennis. Membership had swelled to 500 by 1938 (the largest in all of the OBA’s history). The increased membership was, unfortunately, not matched by the payment of member subscriptions and the first sign of financial distress was detected. The OBA continued to operate in deficit until 1941, and with war pending, the Committee closed down No. 25 Togo Street decidedly as a cost saving measure. Sadly, doubts were expressed on the viability of the OBA to function as it was. War loomed. The OBA called for an EGM in 1941 where this resolution “That this Association pledges its loyalty to the Government and places its services at the disposal of the authorities, and is prepared to answer any call for help when and where the necessity may arise” was unanimously passed. Giving substance to that pledge the OBA was actively involved in support of the “China Relief Fund”. In one concert, in conjunction with the Perak Miner’s Association and the OGA of ACGS, about $5,000 was raised as contribution. Smaller sums were raised for that Fund in the years before the War. And the gloom deepened. World War II brought to an end this early part of the OBA history. But the OBA did not resume its activities when students returned to the ACS in 1946. In its absence, the ACS was obliged to turn to a newspaper advertisement to urge for the participation of old boys in the School’s Golden Jubilee Anniversary in October, 1947. So for the next 16 years the OBA was to remain dormant. A new beginning in 1958 was inspired by an old ACS hand. Mr. Teerath Ram was appointed Principal in 1957 succeeding Mr Ralph Kesselring. Mr. Ram was to energetically lead the school through many glory years typified by new buildings, sports and academic facilities, of drama and sports achievements, characterized, above all else, by the fierce school pride built of an entire generation of students. In return, Mr. Ram looked keenly towards the kin of Ipoh ACS, including its OBA, to support his endeavours in much the same manner as of his predecessors. Mr Ram played a leading role in the re-formation of the OBA. Its 1958 return was well received and it brought along an (almost) brand new Committee and an updated Constitution. Dr. Khong Kit Yew was elected the OBA’s third President. He, the son of Dr. KT Khong, OBA’s inaugural president, had left the ACS in 1936 and in 1940 was accepted into Guy’s Hospital, London University to pursue a degree in medicine. Upon successful completion in 1947, the young Dr. Khong served 4 years on board ship as surgeon before he returned to Ipoh where he settled into private practice. Two stalwarts who had helped shape and define the pre-war OBA were also on hand to provide continued service. Dr. KT Khong was made one of four Patrons. Mr. Chin Thin Yee, the second of the pre-war Presidents, lent his support serving as Vice President. Significantly, the updated Constitution had one of its objectives as “to foster the ideals of true citizenship and to promote the feeling of comradeship among the races”. Such is the reflection of changing times in an independent Malaya. Another major supporting institution Mr. Ram caused to be established was The Board of Governors for Ipoh ACS. He fully realized the crucial role a successful Board could contribute to the School. The first Board, chaired by Dr. Ng Yok Hing, included 3 OBA representatives, viz., Dr Khong Kit Yew, Mr. Lionel Labrooy and Mr. Lau Hun Cheong. Through them the OBA played its useful role in the School’s welfare and helped define policies and decide on its future direction. OBA representation on the ACS Board of Governors continues to this day. Dinners returned in style. The OBA Re-union Dinner of 1960 was to celebrate the School’s 65th Anniversary. Sports made its return to the OBA. 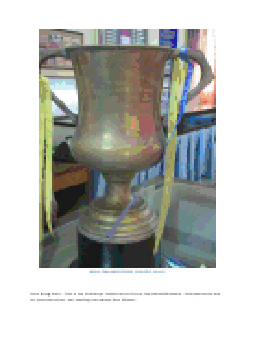 Tellingly “The Percy Bell Challenge Trophy” donated by Mr. Teerath Ram in 1960 brought together old boys and present boys annually in a series of games. The more experienced old boys won the trophy in successive years, barring 1965 when the honours were shared. OBA members were also organized to play in tournaments against outside teams. Games of a meaner kind, meanwhile, flourished at the new OBA club house, now conveniently located at No 41, Green Hill Drive. There mahjong was the game of choice as were a gamut of other games of mere chance. Such games that could be readily accommodated on a mahjong table were entertained. The admission of outsiders alongside members and other old boys provided a combustible mix and it soon bore the hallmarks of a social club no different from the competition located all over town. And this was the clubhouse, meant to cater to the social needs of an entire community of old salts! Dr. Khong Kit Yew vacated his position when he moved to Singapore in 1962. Mr. Chew Swee Kee had earlier arrived from the other direction and he served a short stint as President. Mr. Chew was also the one-time Education Minister in pre-independent Singapore. His earlier donation of “The School Van” is still today etched in our collective memory. Annual re-union dinners had by now been traditionalized as a distinct OBA event and invitations to eminent old salts as guests of honour came into vogue. First to call on the OBA was Mr. Khaw Kai Boh, then Minister Without Portfolio in the Malaysian Cabinet, who graced the 1963 re-union dinner. The venue for dinners was from then on held in the newly commissioned swimming pool with its improved facilities and extended space instead of at the School Hall. At that dinner Mr. Ram challenged the OBA to start a higher education loan fund, essentially a revolving fund, to offer academic assistance to the present students who were in need of financial assistance to attend university. This appears to be the first occasion when the question of academic funding was raised. Mr. Ram’s useful suggestion was not acted upon. Mr. Khong Kok Yat had left Ipoh ACS in 1949 to read law at Lincoln’s Inn. He was called to the Malayan Bar in 1956. A prominent Ipoh politician, he was a member of the People’s Progressive Party, was elected as a Member of Parliament 1959-64, and he had also served in the Ipoh Municipal Council for several terms. Dr. Toh Chin Chye became the next eminent old salt to be honoured at the October 1964 re-union dinner. Dr. Toh was then Singapore’s Deputy Prime Minister. Not long before another dinner was held where the OBA and OGA ACGS jointly celebrated the official openings of new buildings in the two schools. This was the second occasion of sibling social solidarity. Mr. Khaw Kai Boh was re-invited as the guest of honour in 1965. The clubhouse played musical chairs once more – this time it was to sit at No. 9, Lau Ek Ching Street. Set in a new location no doubt but in pursuit of the same old activities. Financial cracks, however, were beginning to show. In a bid to improve its own finances it sought to expand the size of membership tempting old boys to become members as “there is a proposal to renovate and improve the Association when funds are available. It is the intention to provide facilities …….popular dance music by the ACS band, a counter and modern furnishing for a refreshing drink, a television set and other essential facilities for your comfort”. Old boys remained unimpressed and the OBA membership of about 200 failed to increase, and consequently its deteriorating financial health was not properly addressed. The genuine old boys did not appear in sufficiently large numbers to save the OBA officially, and it was promptly de-registered. By the time the OBA re-surfaced it had assumed a new identity. It was now officially titled “The Anglo Chinese School Ipoh Old Boys Association (1967)”. Strangely, its fortune took a sudden turn for the better in 1970. The OBA hosted a very successful Re-Union dinner to celebrate the School’s 75th Anniversary. Many new life members were recruited. The resurgent OBA even germinated the idea of building its own premises beside the School pool to provide that permanent link between past and present ACS students, together with added activities for old boys. Nothing tangible came out of this loose talk. The OBA club house moved one final time to No. 39B, Jalan Ali Pitchay. There was cause to thank supporters and 3 parties were held to cheer them. The OBA entered 5 teams in various activities and the hockey team under the charge of Mr. Brian Foenander emerged champions for the third year running in the Ipoh District Hockey League Division I Tournament. Mr. Khong’s tenure ended in 1971. Not unexpectedly, no one else came forward to replace him. Lethargy had largely set in. Members seem to have had enough. For over 10 years the entire OBA committee was repeatedly drawn from this same small tired pool of 200 odd Ipoh domiciled members. That the ACS diaspora had begun to collect in various parts of Malaysia, Kuala Lumpur in particular, and the start of Ipoh ACS communities abroad, exacerbated the difficulty of membership expansion. The OBA’s inability to reach out to its diaspora remains to this day. So without such requisite support the OBA was to remain dead for another long spell. A well-rested Dato NT Rajah provided the OBA brief respite after a dozen years of complete neglect. He, a senior Ipoh based lawyer, and contemporary of Mr. Khong Kok Yat, had earlier served in both the OBA and the Board of Governors. Just like his predecessors, the traditional annual dinner was not missed. Dato NT Rajah’s was held in 1984 with Mr. Maurice Baker, an old salt, then the High Commissioner of Singapore to Malaysia, as guest of honour. Mr. PS Maniam, the retiring Principal, was presented with a momento for distinguished services to the school and sports on that occasion. With the end of Dato’ NT Rajah’s tenure sometime in 1986 the OBA’s fragmented life form was again evident until the very early 1990’s. In the intervening years one Principal made an abortive attempt to revive the OBA in support of his efforts to improve and refurbish school facilities. This was how a dejected Mr. Daniel Chan lamented in 1990: “Another failure of mine is that I have not been able to get old boys interested to build a strong OBA. I’ve tried all sorts of ways, however, the old boys have not responded. I offered a room in the Teerath Ram Hall for their Association headquarters, willing to organize old boys versus present boys but alas……”. That he was not an old salt, not from Ipoh, and not from a mission school, had rendered success even more remote. Not long after Mr. Daniel Chan’s lament, the OBA did spring back to life but existed with little fanfare. During Mr. Leong Yew Kee’s short tenure a re-union dinner was held at the Excelsior Hotel with 400 people in attendance but without a distinguished old salt present. Surplus proceeds from this dinner was donated to the ACS Primary School and used to repaint the wooden building. A series of old boys versus present boys games were held and true to practice the old boys won – yet again!! In purpose, Mr. Leong’s team was set up to plan for the impending Centenary Celebrations in 1995. Of some significance was this fact that, for once, the OBA was brought back to life by old boys themselves, unlike in the past where Principals played key roles. Dr. Cheong had left school in 1963 and was trained as a medical doctor, having his own private practice in Ipoh. One of his first acts as President was to set up a 6 person Centenary Celebrations Committee to plan for, and the execution of, the grand event. As integral parts of the centenary celebrations the Committee included a Hawkers Fare on the School campus, a repeat of the “King and I” bringing together again Mano Maniam and Foo Nyuk Yong after 20 years, and much needed donations to the alma mater. All these were to culminate in the 100th year re-union dinner. The OBA also had two other major plans in hand. The first was the Berita ACSOBA (edited by Mr. Lee Seong Yan) to keep old boys abreast of OBA and ACS developments. Two volumes were published in 1994, the first in July. The newsletter’s raison d’etre was to get old boys connected, or re-connected, with their OBA and their alma mater. This first development was brought to bear on the second. This second key plan was to galvanize the old boys’ to financially assist the School which then was languishing in a poor state of repair. The library had ceased to be air-conditioned as costs of electricity had become unaffordable, the swimming pool and Horley Hall were in deplorable state, the roof leaked at the School Hall, and buildings keenly needed at least a coat of paint and general maintenance. SOS went out by way of the Berita ACSOBA to raise necessary funds to restore the School’s pride. Dr. Cheong’s committee also touched upon two earlier proposals: one was to establish a heritage museum at the old primary school building (which came to fruition later) and the other sought to privatize both Horley Hall and the swimming pool. One added advantage in privatizing the pool was that it could be another way to re-establish the OBA clubhouse. Nothing came out of it. In the midst of this crowded work programme, Dr. Stephen Appadurai stepped in to provide the OBA some welcomed relief. He organized the School’s 99th Anniversary at the Lake Club in Kuala Lumpur. At that dinner some old salts spontaneously elected an Ipoh ACS Alumni Chapter in Kuala Lumpur which, unfortunately, was sustained just long enough to last the evening and ended when the celebratory mood wore off. This was to be the first annual re-union Dinner held outside of Ipoh. Subsequently, two further events were conducted in Kuala Lumpur, one in 2003 supplementary to the reunion dinner in Ipoh and the other in 2006, a re-union dinner proper. The Centenary Dinner at the Syuen Hotel on 6.8.05 was by all accounts an unqualified success. Two good years were to be followed by two bad ones. Interest waned after the centenary celebrations and the OBA was left unwanted and unattended, and the ROS found it necessary to intervene once more. The OBA was de-registered. It withered. And it was rescued. Mr. Chin Yoong Kim emerged the white knight on this occasion. He had been intimately involved with the OBA in various capacities for a great many years. Now putting his considerable influence within the old boys network to good use, Mr. Chin marshalled together a group of 20 old salts mainly from the Class of ’65 to help him cope with this unenviable task of resurrecting the OBA. Assisting him were Messrs. Looi Teik Aun, Chooi Choong Ying and Chow Tuck Wah who were in turn backed by their contemporaries then in business and in the professions. By early 1998, a pro-tem committee was set up pending attempts to re-register the OBA. Dato Thong Fah Chong was elected pro-tem President and Mr. Looi Teik Aun the pro-tem Vice-President. The OBA’S application for re-registration was approved in 1999. Its return had just then commenced. The new century acted kindly on the OBA. It was to remain trouble free for the longest uninterrupted duration of its long history. Much credit for this is due to the unswerving devotion of a small group of old salts who had in them the immense pride and tenacious loyalty which they showered on all matters alma mater and OBA. They have kept this 21st century OBA thriving, without whom the OBA would have suffered the familiar pains of neglect and poverty of leadership once more. So Dato’ Thong, the pro-tem President, was elected President of the new OBA committee in 2000 and the rest of his pro-tem colleagues were elevated to various other committee positions. Dato’ Thong was the ideal choice for President for that phase of OBA history. He was then the elected Member of Parliament for Ipoh Timor, and had a measure of political clout and strong local influence. His committee immediately tasked itself with issues of governance, especially with regard to the Constitution where some Rules were now deemed archaic and due for upgrade. One specific change was to be in the OBA’s name. It was, sadly, to be referred from then on as an alumni association in deference to political correctness. In 2002 the OBA was thus renamed the “The Ipoh Anglo-Chinese School Alumni Association (1967), Malaysia”. Helmed in by geography, the OBA had consistently accepted that its growth was contingent also upon its ability to reach out to the masses of ACS diaspora. By then diaspora had far out-numbered those who were still Ipoh domiciled. It had indeed formally proposed to do so. Hitherto the connection was made by way of the much ingrained annual re-union dinner supplemented by newsletters when they were published. One such gap filler was “The Berita ACSOBA”, followed from 2001 by “Ye Old Salt” (edited by Mr. Victor Chew) where its later volumes were also to carry commentaries on Ipoh generally. “Ye Old Salt” lasted for several years until its editor himself joined the ACS diaspora. The limitation of newsletters as a vehicle for communication was plainly obvious. It had a very small membership circulation – so small that it was little more than 200 at best – and that it reached only a small proportion of all ex-ACS students. And few of the newsletters found its way outside of Ipoh. In keeping with the times the electronic media too was flirted with for a while. An OBA website was launched in 2001 and that too came to grief. A KL Chapter was the one most coveted by the OBA. Several old boys was asked to assist, one prominent person responded but did not deliver. The nearest to materializing this aim was the farcical election at the 99th re-union dinner. Status quo was maintained. Mr. Looi was elevated to OBA President in 2002. As Vice-President in the previous administration he was the prime mover for an exciting range of initiatives including the acquisition of an OBA building. His terms as President were to be largely dedicated to their delivery. The ownership of No. 3, Jalan Yang Kalsom remains a pivotal moment in OBA history. It was the first time the OBA became a landed owner. That property was purchased at the cost of RM 270,000 on 22.10.2002 to house the OBA’s permanent secretariat. Funding for the acquisition was secured through a mix of bank loan, government grant and private donations. Mr. Looi personally played a substantial subsequent role in its renovation and refurbishment as well as in the sourcing of requisite funding. The unused portion of this property was leased out, and none of which was put to use for club house activity. The well tolerated activities in our club houses of old would be frowned upon today. As a permanent secretariat it was not to be. It was not manned by any staff, indeed none were employed to function in this administrative support group. Instead all organized support was produced from the rear at the President’s business office without charge. The new premises were largely used for meetings and storage of documents. The OBA next turned its attention to the alma mater, extending its support to the School in many ways including that of scholarship. Scholastic awards to recognize top performing students at the SPM and STPM were instituted, as was one later for the best primary student. These were funded from OBA sources as well as from sympathetic individuals. Mr. Looi also firmly believed in getting the old salts together and like all his predecessors the annual re-union dinner was a mandatory social event. Altogether, he had, or had helped, organize 11 well attended events. Mr. Lee, a long standing OBA committee member, University of Singapore trained lawyer, one-time Chairman Perak Bar Committee, Past President Rotary Club of Ipoh, and honorary legal adviser to several organizations, is the current President. There were several positive developments made in the OBA over the past two years under Mr. Lee’s charge. One was in his infusion of new blood and fresh ideas into the OBA. Appointments of non-Ipoh based old salts were made in the wake of vacancies created by unforeseen circumstances. The arrival of Datuk Lean Meng Seong, Dato Narayanan Kanan and Mr. Peter Lai had provided an added fillip to the OBA; a discernible difference in the number of activities and in the quality of delivery is already felt. Their involvement with the School in terms of scholarship awards, academic pursuits, and career choice are covered in other sections of this website. Arguably, the next significant output would be that single strategic decision to set up a website to connect with alumni everywhere. Mooted at the 2011 AGM and subsequently mandated at one of the Exco Meetings a select task force of enthusiasts spearheaded by Dato Narayanan Kanan chipped away at the momentous task of creating the official OBA website. This Website Project is now at an advanced stage of work-in-progress. Dozens of alumni have so far pooled together their knowledge, skills, and resources to ensure a website that would meet its purpose and of a sufficiently high standard that most people associated with the ACS are accustomed to. This objective is already evident, judging by the number of people who have accessed the website and the positive comments so far received even prior to its April launch. Further afield, also in 2011, “The Federation of Methodist Schools Alumni Associations Malaysia” was formed and its final revised draft constitution will shortly be presented to the ROS for approval. The OBA being one of the largest and oldest of all the alumni associations is expected to play a leading role. The OBA team is led by Vice-President Datuk Lean Meng Seong. The OBA’s stand has been explicitly stated. It wants the Federation to be an apolitical force for positive change for the country, community and the Methodist mission schools, and in this regard The Federation is expected to engage with the Ministry of Education on key national issues as it affects education. Then the OBA would like to put in place a mechanism to allow for ease of networking amongst members. Finally, the OBA hopes that a forum would be put together for the exchange of best practices and from where a common stand could be forged to fend off threats to mission schools, and to Methodist schools in particular. The 2012 AGM involving the elections of a new Committee would take place on 24th March. A new President would be elected to succeed Mr. Lee at the end of his maximum two terms in office. In the meantime, the OBA is making preparations with the Old Girls Ipoh MGS to have a joint annual re-union dinner on 4th August. This would constitute the third occasion of event collaborations between the kindred.